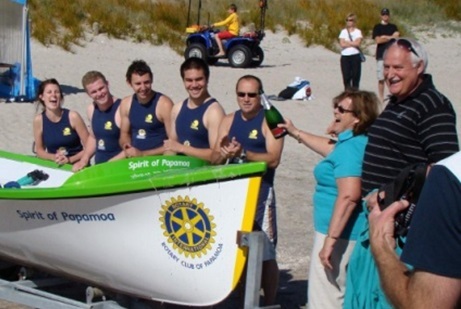 Situated at arguably the best beach in New Zealand and chartered in 2006 Papamoa Rotary Club presents a fresh, informal Rotary face to in the fastest growing suburb of Tauranga. Our beach-side club prides itself on its good gender & vocational balance, we endeavour to “walk the talk” and get actively involved in both Local and International projects. We meet weekly by the beach to enjoy the company of fellow community-minded people, whilst fully participating in Rotary’s youth, international and community programmes. We have a great relationship with our local Surf Life Saving Club and to date we have raised funds to present them with a longboat and an ATV . 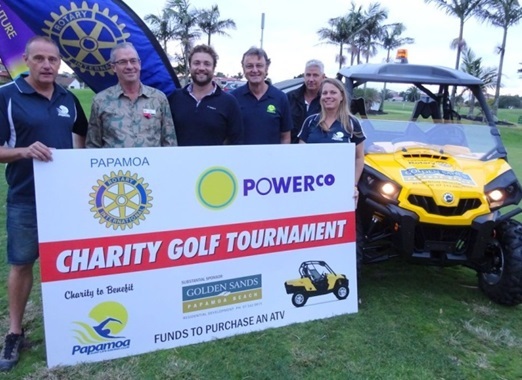 We run a number of community-based projects including the PowerCo ANZAC Day Golf Tournament - an annual fun day and fundraiser which we use to assist many local charities. 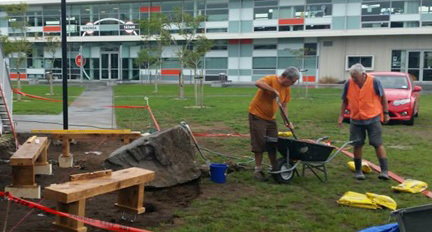 To date Papamoa Rotary has donated more than $120,000 to community projects. 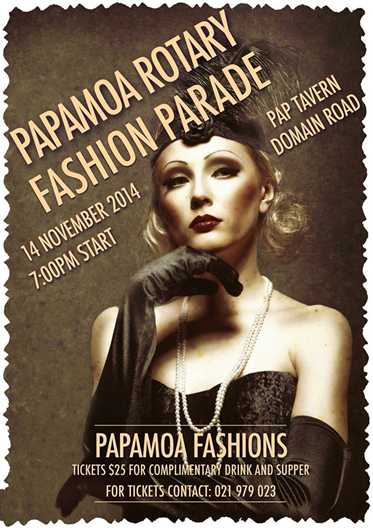 Papamoa Rotary is committed to encouraging our young people to be the best that they can be. We maintain close relationships with all our local schools and actively seek out candidates for all of Rotary’s youth development and leadership programmes. The Club has taken part in the Rotary International Student Exchange programme for the last 5 years, sending out students to Sweden and Argentina, and hosting inbound students from Argentina and Belgium. 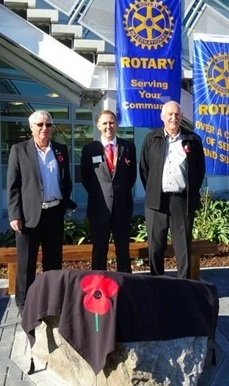 Papamoa Rotary marked the ANZAC Centenary with a special project - the creation of a Commemorative Area and Plaque at Papamoa College. This was dedicated on 24th April 2015. 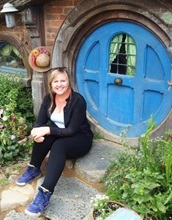 And it's not all meetings and projects – members regularly enjoy a social outing to many of our local Bay of Plenty attractions.